Ostrich is the biggest animal which lives on the earth and it lays the biggest eggs than all other animal eggs. As the brain and legs of the ostrich are long, it is very big. They are 1.8 meters to 2.75 meters in height. The weight of ostrich varies from 130 kilos to 155 kilos. Even though it is very big, the brain of ostrich is small compared to its eyes. Scientists say that eyes of ostrich are very big among all the animals which are having backbone. 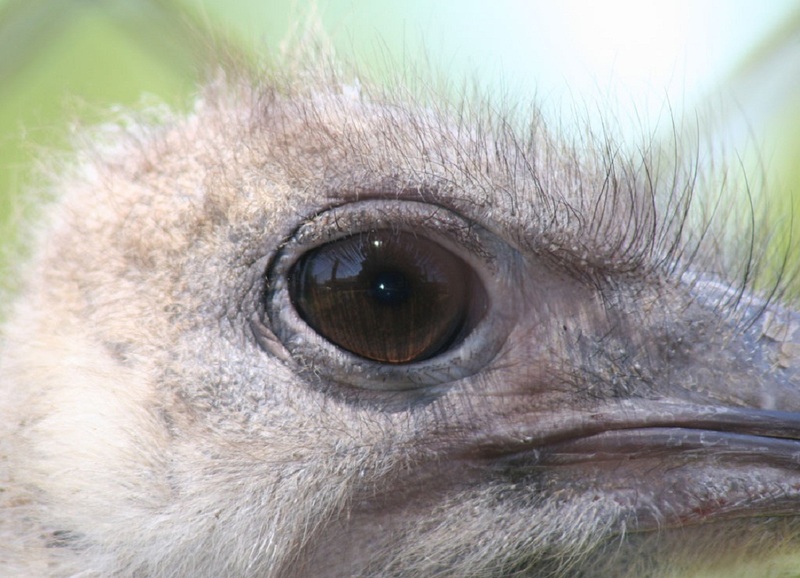 As the eyes of ostrich are big, it can identify the enemies from long distances. If an ostrich recognizes the enemies, it sleeps on the floor or starts running and ostriches run with 72.4 kilometers per hour. They can run continuously for 30 minutes.